South Jakarta Environment (LH) Sub-dept. intensifies electronic waste (e-Waste) program socialization.
" We will continue to socialize this e-Waste program in various media such as banner and social media"
It is hoped residents could be aware with their environment by not dumping electronic waste in any place through this program. Acting South Jakarta LH Sub-dept. Head (Plh), Sena Putra conveyed, currently people who use e-Waste program is increasing. Every week, electronic waste collection in each sub-district is transported to Jakarta LH Dept. 's warehouse in Pulomas. "We will continue to socialize this e-Waste program in various media such as banner and social media," he stated, Tuesday (5/15). He explained, his side also socializes it in car free day activity. Thus, more people become aware of e-Waste program. 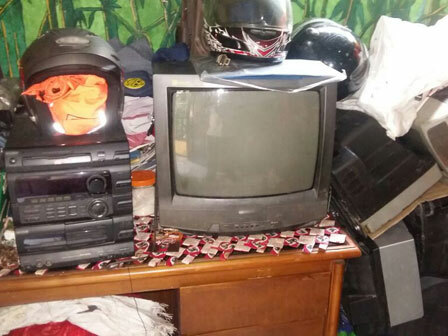 "Even some time ago, Setiabudi resident handed over washing machine for disposal," he added. According to him, residents who have electronic waste and want to dispose it can call his personnel in urban village or sub-district. Besides, residents can also inform his personnel through online system. "We are ready to pick up electronic waste in resident's house without any charge," he stated.